When Laedron Telpist's sorcery training is interrupted by a knock on the door, what once seemed a proper profession must now be hidden. In a world where priests and mages vie for the limitless power of the elements and a new Grand Vicar has sworn death to all sorcerers, Laedron is tossed into a nightmare which would see his destruction at every turn. From the home shores in western Sorbia, through the Cael'Brilland heartlands, and even across the seas to the great city of Azura, Laedron finds himself embracing old friends, consorting with unlikely allies, and confronting potent enemies. As he struggles to train himself in spellcraft, Laedron must face that he lives in a time when the utterance of a simple spell could be the signature on his death warrant. 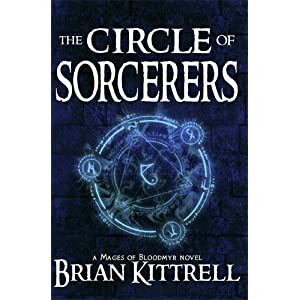 Brian Kittrell is the owner and founder of the Late Nite Books imprint, and he publishes his speculative fiction (fantasy, horror, and science fiction) novels in hardcover, paperback, and electronic editions. BUY IT: You can buy this book as Kindle - Hardcover - Paperback on Amazon (hardcover: $16.95 - paperback: $10.95) and Barnes & Noble, and as e-book on Apple iBooks and Smashwords. i have to get used to the new form. Yes, a chance to read this book, thank you! Brian Kittrell is the founder of Late Nite Books. Interesting web site. Thanks for the chance, sounds like a good read. The survivor chronicles on the website looks wonderful....thanks for introducing this great ebook site.